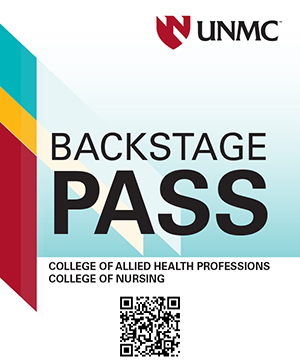 Our recent Backstage Pass was held April 10, 2019 in Kearney, NE at the Health Science Education Complex. Future dates TBA. Backstage Pass is intended for individuals who want to explore each profession more closely. High school juniors, seniors, and college students will have the opportunity to learn more about nursing and allied health professions. High school and college advisors will hear about program updates and learn about admissions requirements. We will be photographing highlights of the day, which may be used on our website. There is a possibility you may be photographed, but no visitors will be identified by name in these pictures. By attending, you give consent to be photographed for this purpose.